I really hope you like the new stamp set: No Bones About It, because you might be seeing it a lot from me. I seriously can't help myself! 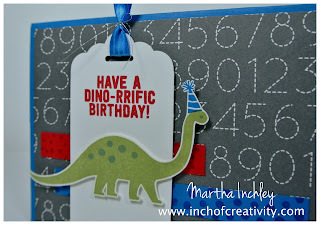 I have a ton of new products to play with, and I've tried, but every time, I'm pulled back to the dinosaurs! 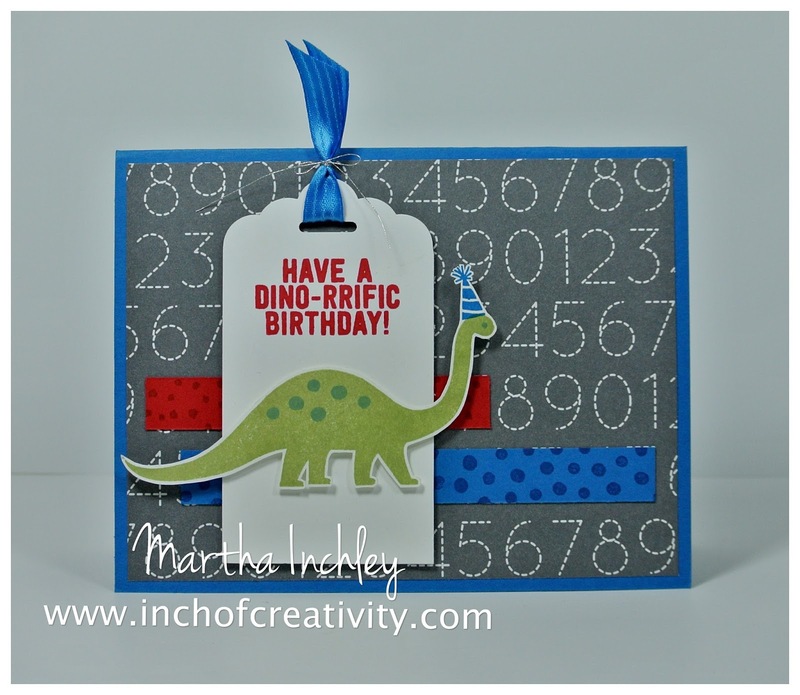 "No Bones About It" comes with a great birthday saying and a party hat stamp, that I just couldn't resist making a dino birthday card. I wanted to design a child's card, so I kept it clean and colourful! The colours I used are: Whisper White, Pear Pizzazz, Pacific Point, Real Red and Basic Gray. I used Lost Lagoon for the dinosaur's spots. The numbered background is from the DSP pack: School House. 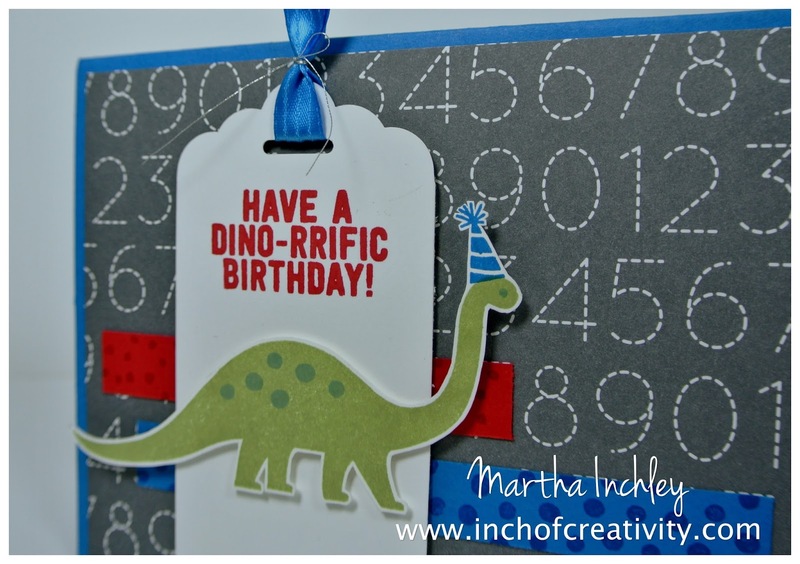 The red and blue strips are Real Red and Pacific Point cardstock stamped with dino spots in the same colour of ink. Fun! Thanks for stopping in, happy creating!